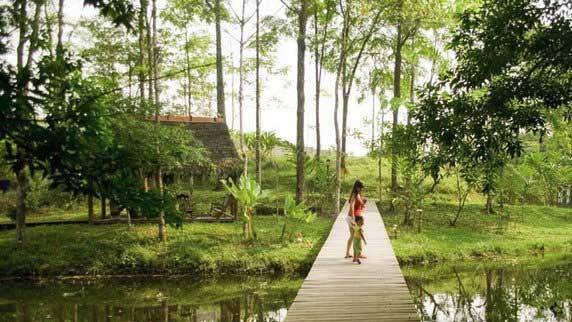 Warm & friendly family run eco-lodge surrounded by rainforest. La Quinta is open year round. 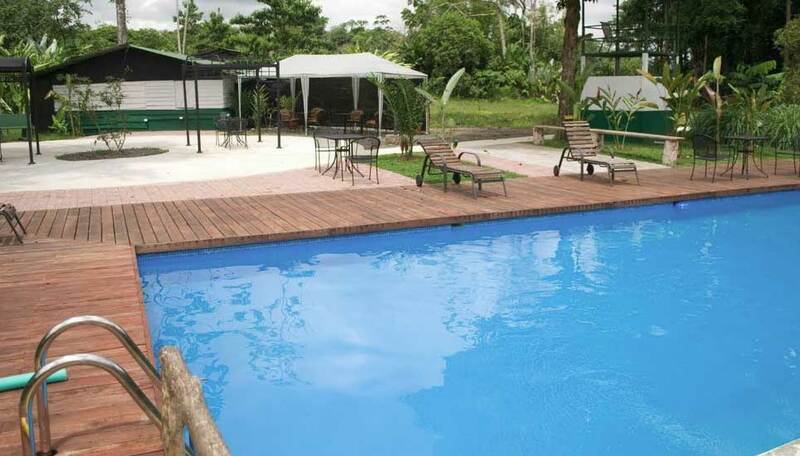 This little gem of a lodge is ideal for those who want the simple life in the heart of nature. There is a strong conservation message here. 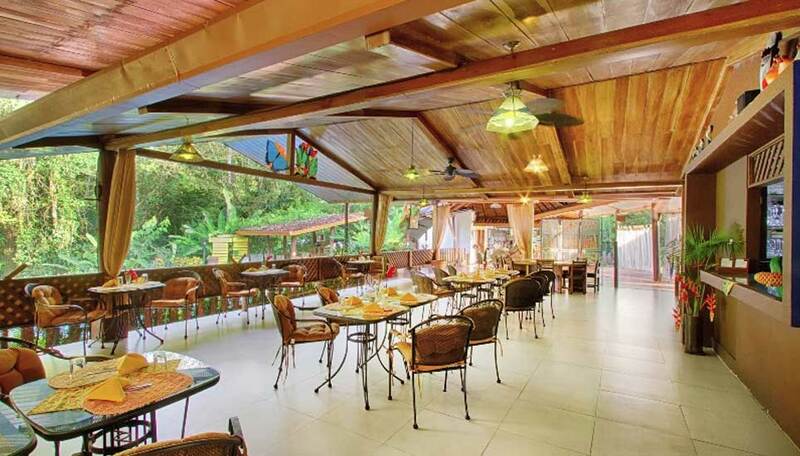 The lodge was originally a farm that over the years has been regenerated to rainforest. The rooms and buildings were all carefully thought out so they have minimum impact on the environment. 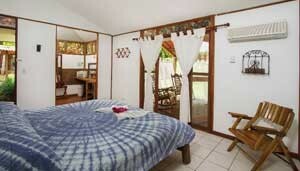 The bungalows are all comfortable with air conditioning and a ceiling fan. They have bright soft furnishings and some have beautiful stained-glass windows letting in colourful light during the day. 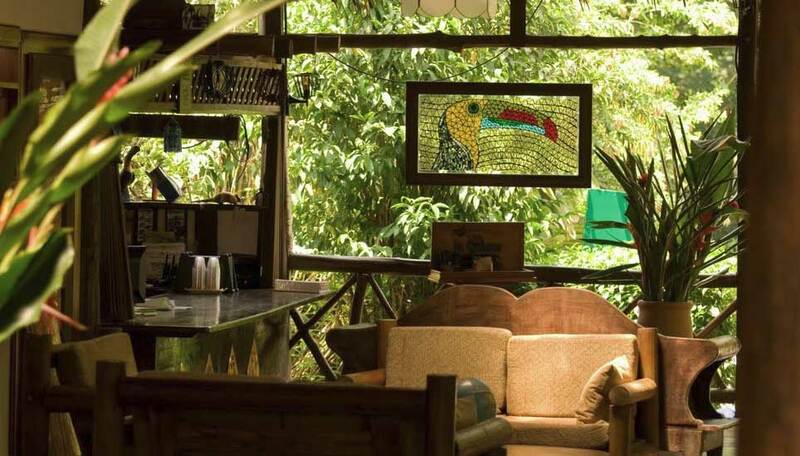 The verandas are complete with hammock and chairs – the perfect spot for a bit of R&R during the day while you read a book or just soak up the sounds of the forest. The main area has a small pool for cooling dips, a restaurant serving tasty home cooked recipes, a games room and educational library. What more do you need? 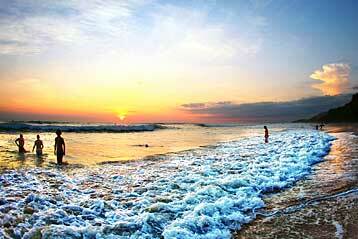 Why go to La Quinta? If you are looking for a place run by a family with a passion for where they live and what they do, then this is the place for you. You can relax and take the on-site trails at your own pace – visit the butterfly house or the frog garden, there are even some caimans. The beautiful heliconia and ornamental flower gardens are an bright splash of colour in the verdant forest and they attract all manner of birds and butterflies. Alternatively you can opt for the high adrenalin offerings nearby such as white-water rafting, canopy tours or exploring the area on horseback. There is plenty to do and learn about here. Being surrounded by rainforest is always a bonus for bird and wildlife sightings and La Quinta is no exception. Be it from your balcony or on the trails around the property you may come across monkeys, frogs, toads, various lizards and iguanas, herons, kingfishers, toucans and even armadillo have been spotted on occasion. Let’s not forget all of the stunning and exotic flora, there are plenty of orchids and other colourful flowers to enjoy here too. There is a butterfly house and a frog garden on site giving you the opportunity to get a little closer and learn more about these fascinating creatures. Each room has a air conditioning, ceiling fans, safe, walk-in dressing area, hairdryer, thatched porch with hammock and chairs. Access to all the lodges trails. 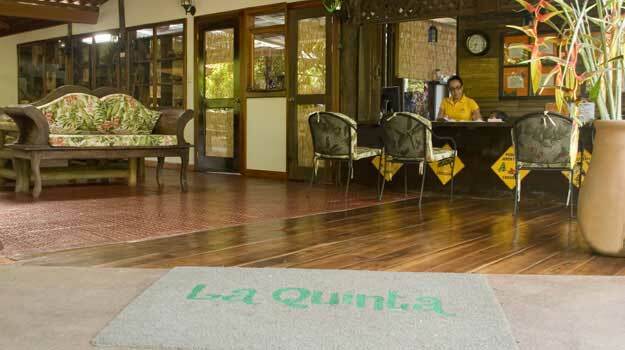 There are 28 semi-detached rooms at La Quinta, all linked to the main area by covered walkways. They are simply decorated, bright, airy and clean. Dashes of colour are introduced into each room with brightly coloured soft furnishings and stained glass windows. Each one has a separate dressing room area with a small safety deposit box, hairdryer, air conditioning and a ceiling fan. En suite bathrooms have showers and hot running water. There are reduced rates for children. WiFi is available in reception.